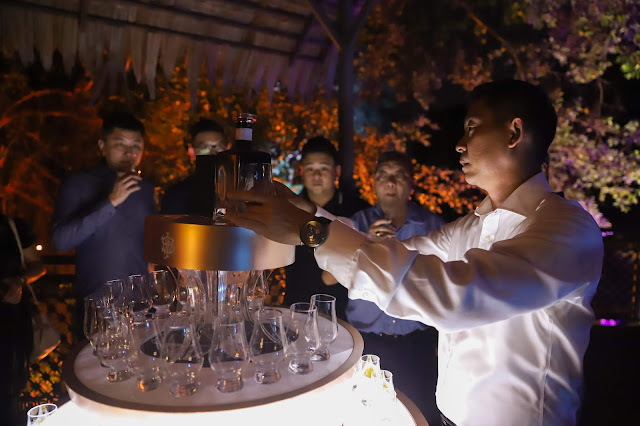 Behind every great whisky brand, there is bound to have an awesome legacy of that product. As the title suggests, the Tomatin is a whisky made from the heart of the community of this distillery. The Tomatin distillery sits high on the Scottish Highlands at 315m above sea level. 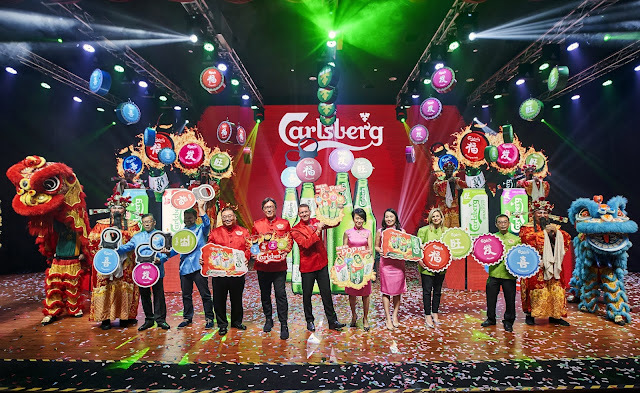 Being one of the oldest distilleries since 1897, this proud distillery is acclaimed with several awards. Tomatin means "Hill of the Juniper bush" in Gaelic, yes, the same product that produces the berries for gin distillation. As this distillery is located far from the coast and in a remote area, the Tomatin distillery is very much community driven where 80% of its workers live on site and with families working there spanning a few generations. I had the opportunity to taste four of its core expressions. The Legacy (ex bourbon and virgin oak, 43%), the 12 year old (bourbon & sherry, 43%), the 14 year old (tawny port, 46%) and the 18 year old (oloroso sherry, 46%). 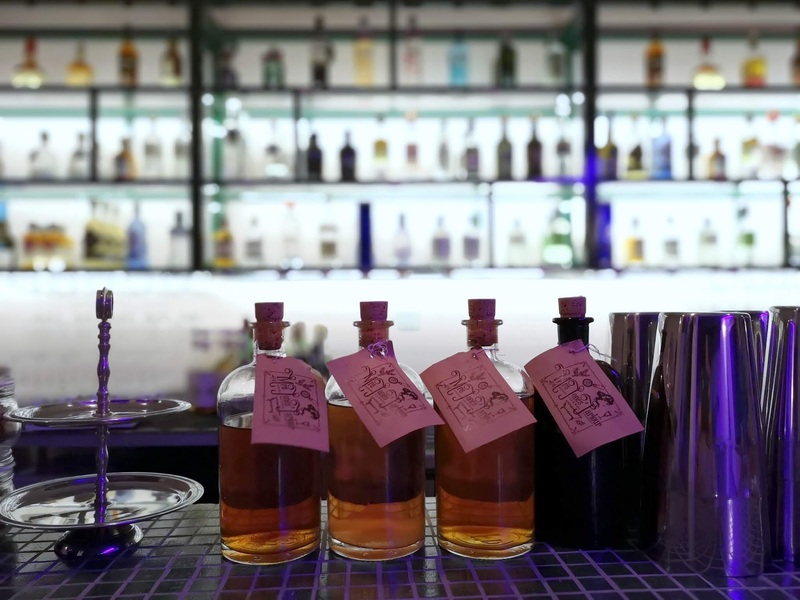 I found all four expressions interesting but the 18 was exceptional, mostly because I'm quite a fan of whisky aged in rich oloroso sherry casks. 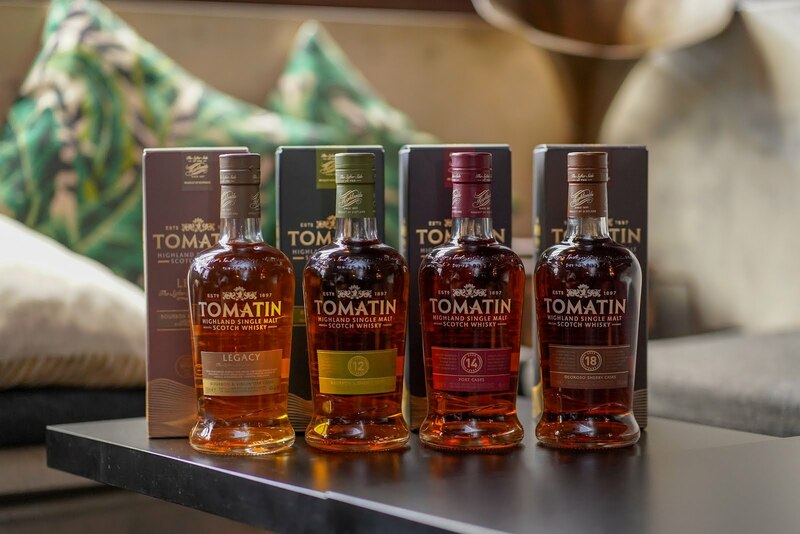 In our shores, the Tomatin range and brand is distributed by Drinks Connexion, importers of many other fine spirits and liqueurs. 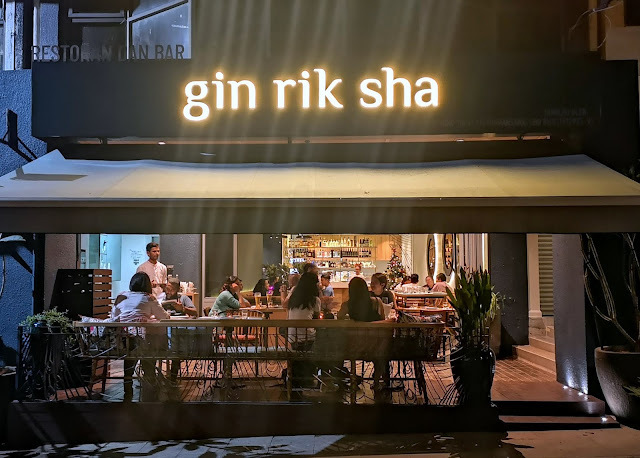 The last time we visited Gin Rik Sha was March last year. 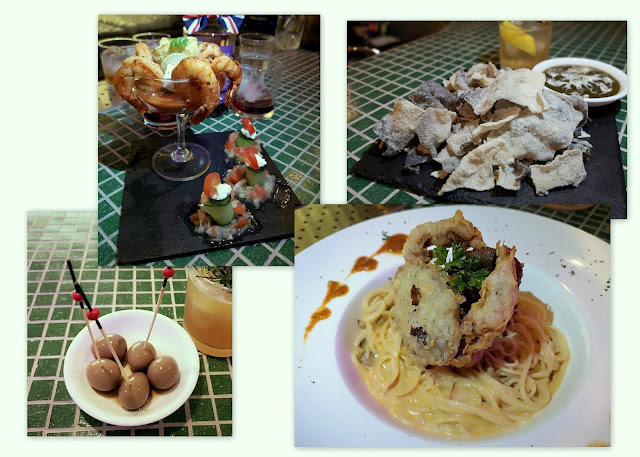 We’re not food bloggers as you know but what GinRikSha had was also a bar and cocktail menu, which is where we come in. GinRikSha has gone through a metamorphosis of improvement since its inception last year. Closed for a month recently, the interior, menu and bar has now been revamped. 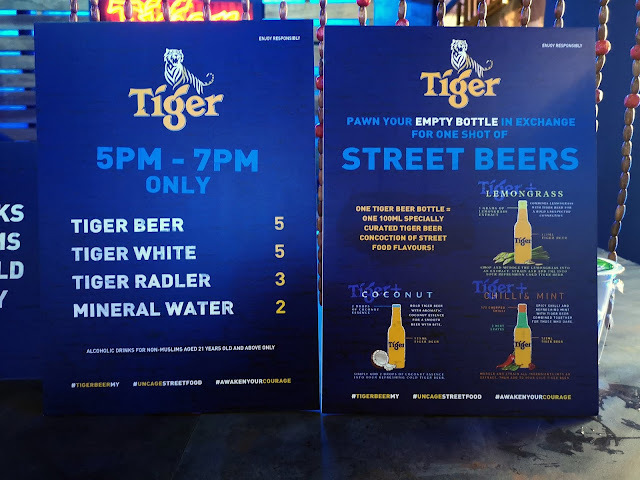 Their cocktail menu has also been tweaked - while it still features cocktails with Indian spices, there are a few additions (by the way, Fireangel was a little sad that their really awesome resam bloody mary is no longer available...) and there's a new tap for Tiger beer. I believe a wider range of bottles and wine are now available. 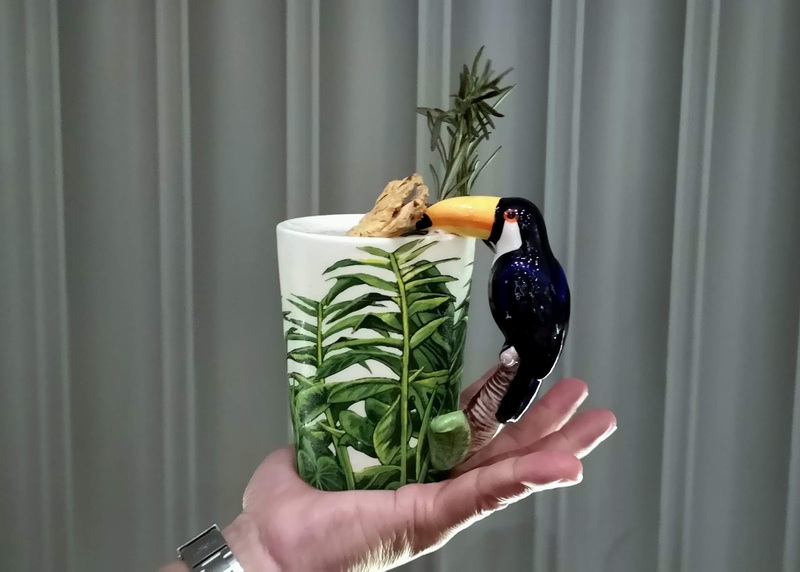 We tried handful of cocktails from the new menu that was curated by their new bar manager - Chan. 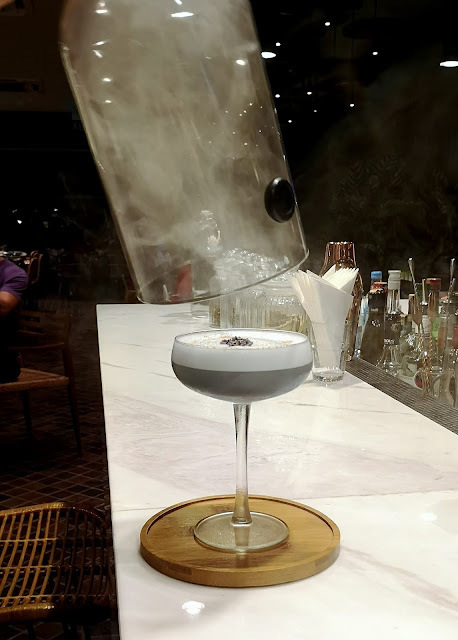 Lavender Sour (RM39) - gin, lemon juice, pineapple juice, blue curacao, smoked. Easy drinking floral sour number to get your mouth watering for food. Stress Buster Tea (RM33) - Gin, masala herb mix, tamanrind, lime. 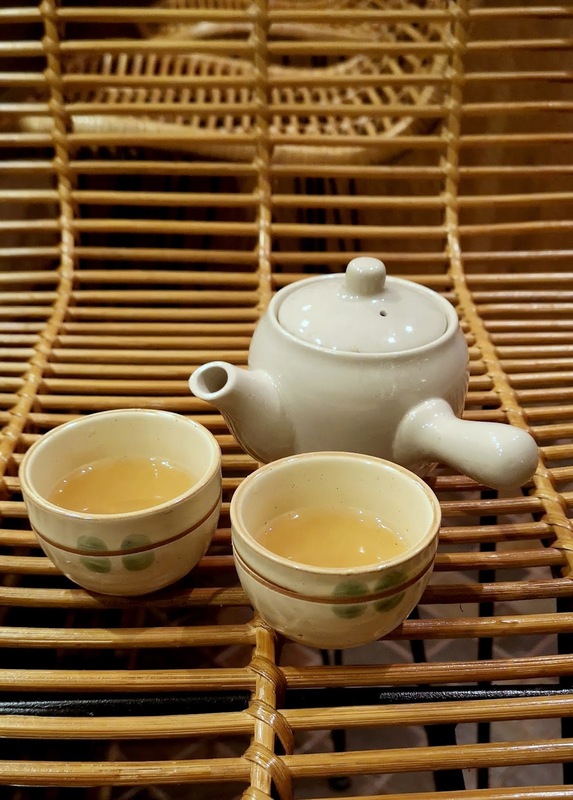 A hot soothing cocktail, it has a familiar scent of resam. 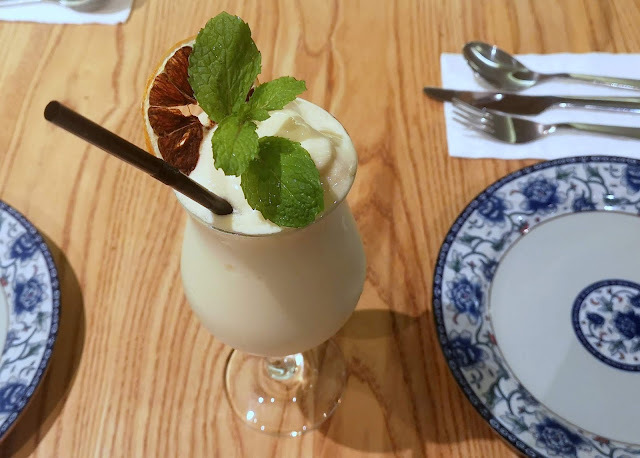 Sharabi Lassi (RM45) - gin, mango lassi, baileys. Your classic lassi with an alcoholic twist. 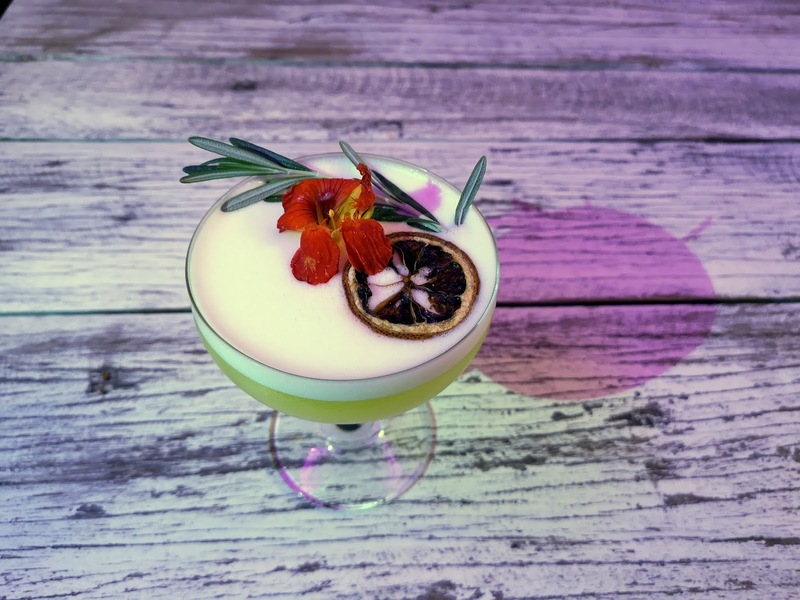 Bengal Tiger (RM48) - White rum, brandy, pineapple & lemon juice. 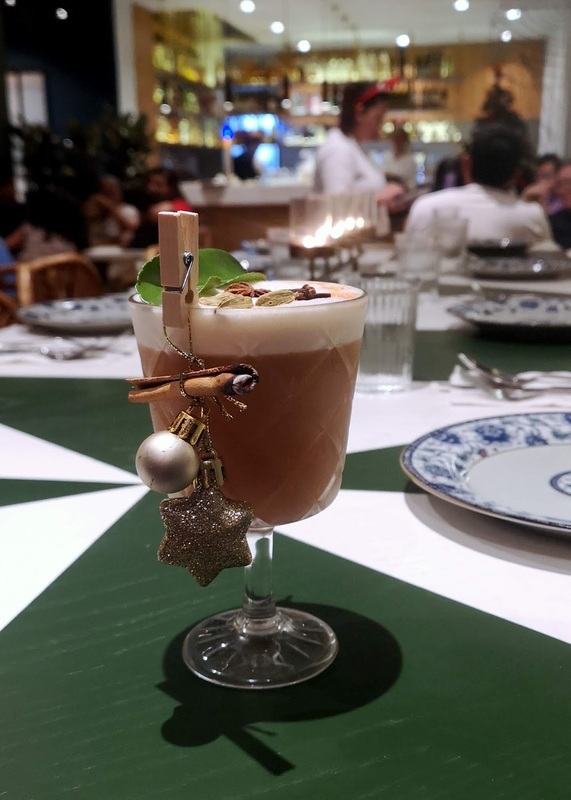 Start night - a Christmas special cocktail with warm notes of a myriad of spices. Of course, we couldn't drink on an empty stomach and got to sample some of their snacks. 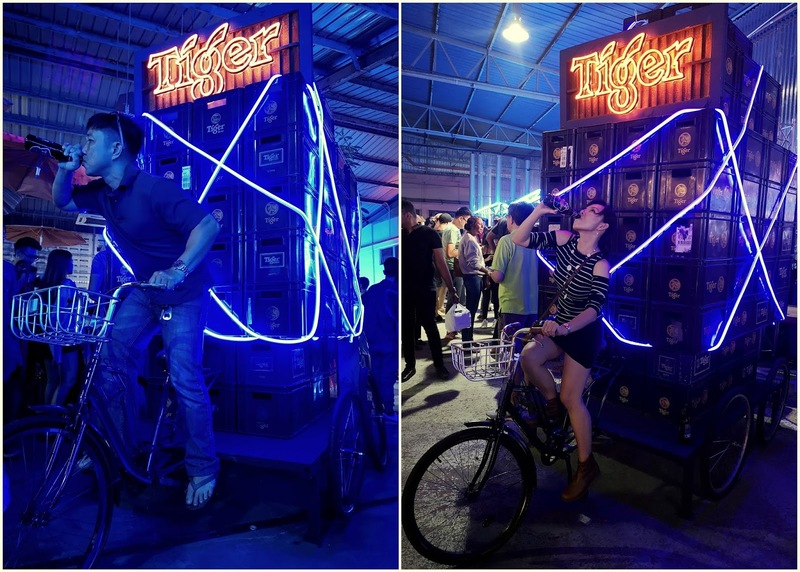 There's another secret - the GinRikSha revamp is only half complete. 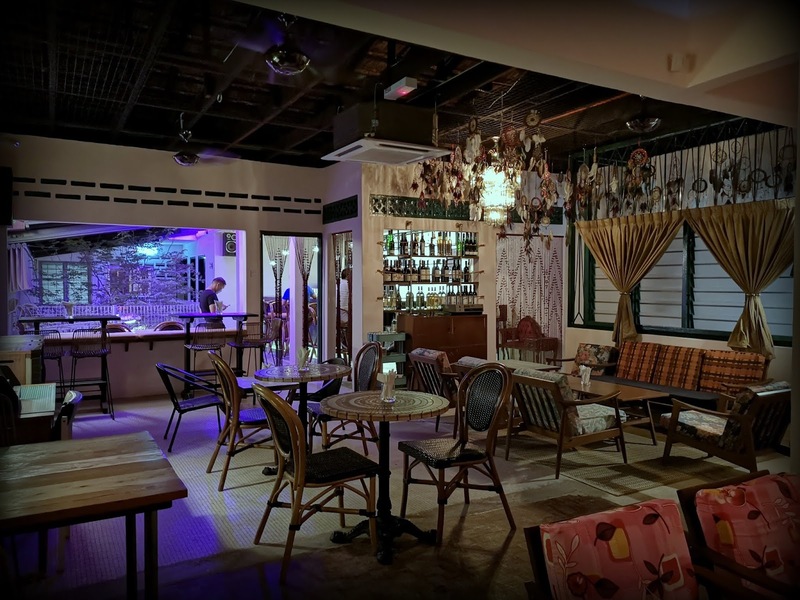 We understand that a cocktail lounge is soon to be opening upstairs, giving the other cocktail joints around the area a run for their money. 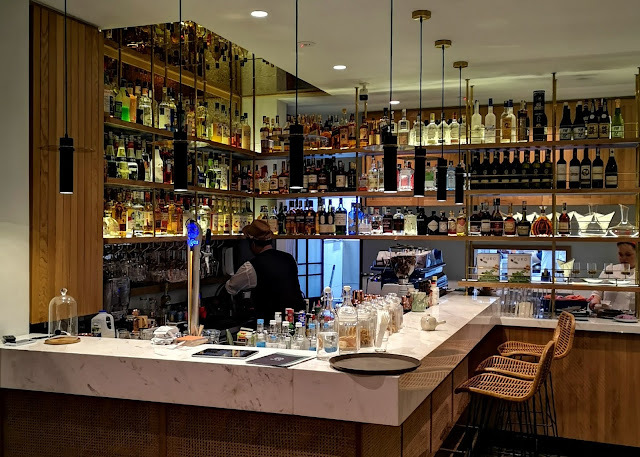 Can GinRikSha make it on the list for ‘Best new bar’ for Bar Awards 2019? We're keeping our eyes peeled. 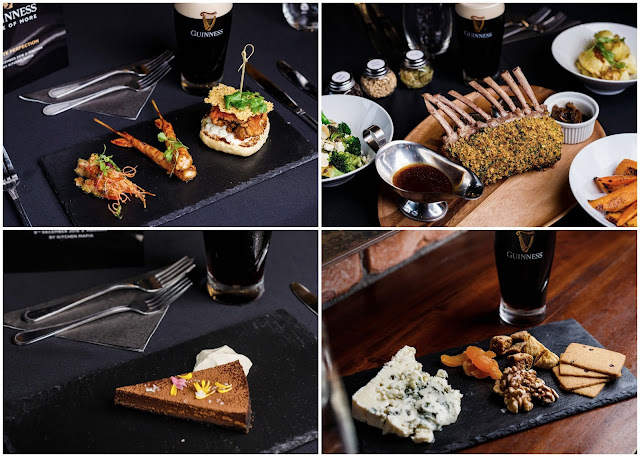 Does Guinness pair with food? 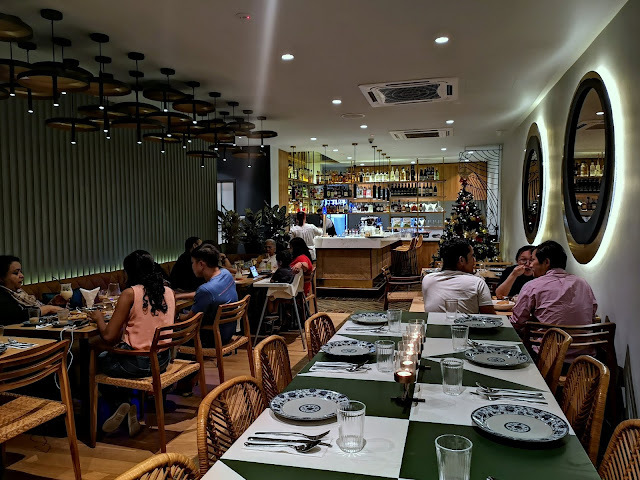 We find out when celebrity chef Sherson Lian at Makhan of Kitchen Mafia was tasked to prove it. 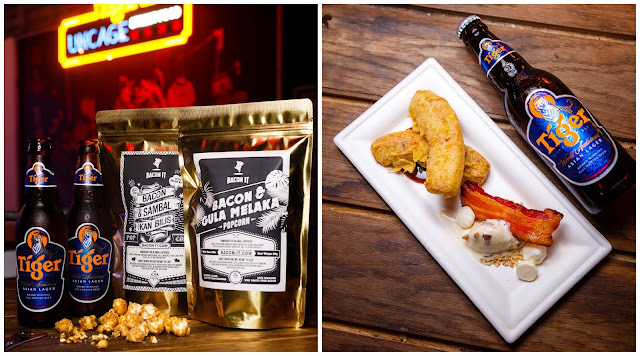 Being an avid stout drinker myself, this was a media dinner promises to be a treat. The main course was a delectable Pistachio and Herb crusted Leg of Lamb with jus infused with Coffee and Morel (Jus = juice drippings from the meats’ frying). The grand sweet finale ended with a Belgian Dark Chocolate Ganache slice with sea salt and nitrogen charged smoked cream. Bonus: we had a cheese platter to end the night. The light bitter creamy texture of Guinness Draught paired well with everything, of course. 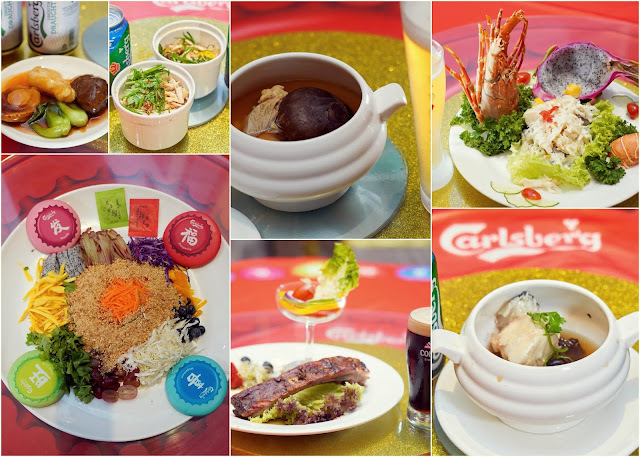 I am at opinion that spicy food, meats, food which are heavy in oils and rich desserts go well with Guinness. Yes, and so did blue cheese! 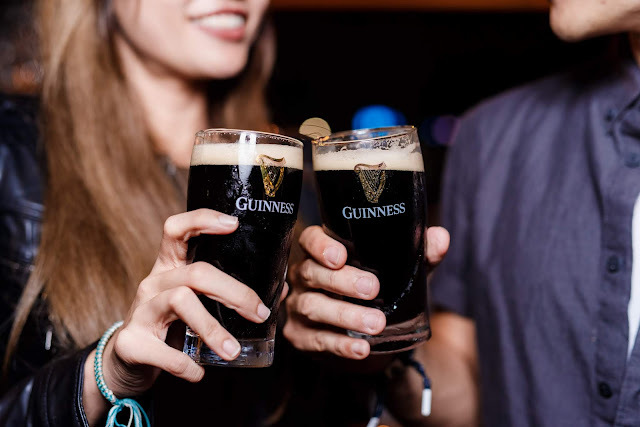 The event also paved 2 other agendas for the Guinness branding, which was the education of the two part pour of the Guinness Draught. 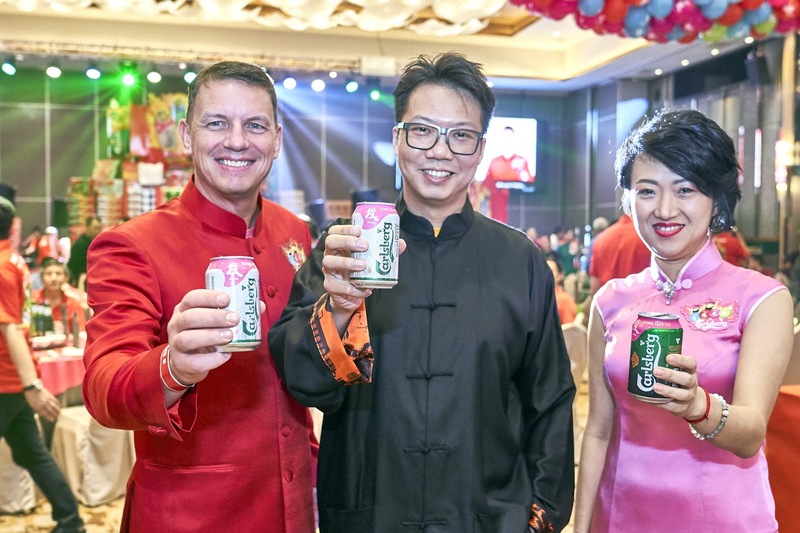 All guests were required to pour their own Draught under the supervision on Draught Master Jonathan Chong before we were allowed to go home (haha). 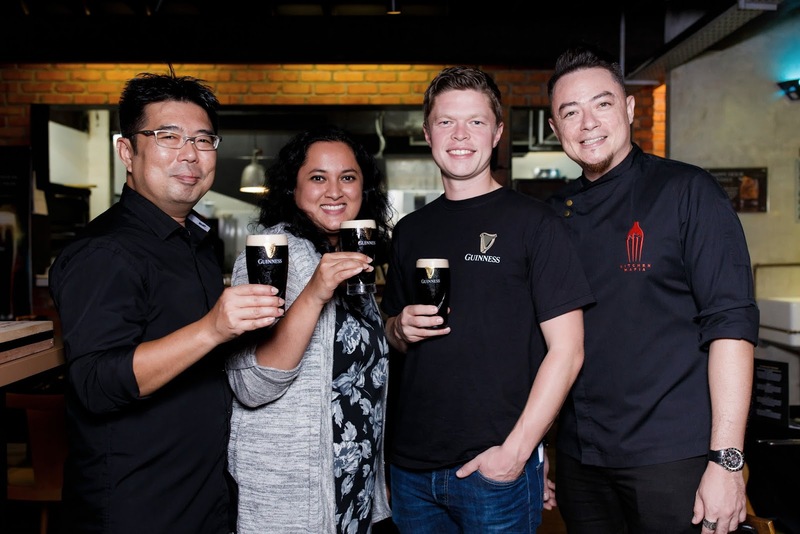 We were also introduced to Cian Hulm (pronounced KEEan), the latest Guinness Brand Ambassador in Malaysia. 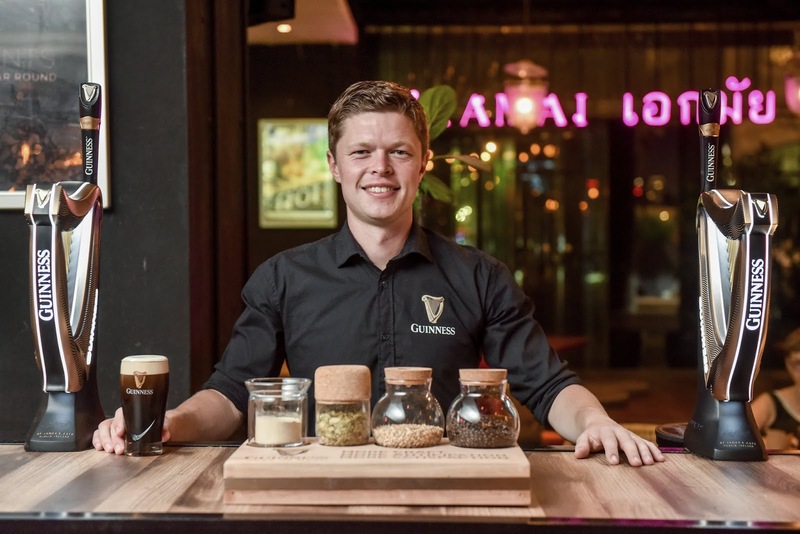 He apparently is also an ambassador of Ireland, quoting him, “the certificates you’ve just earned for the participation of the Guinness Draught two part pour will guarantee you an entry into Ireland”. Mr. Hulm, I will your words to test very soon! 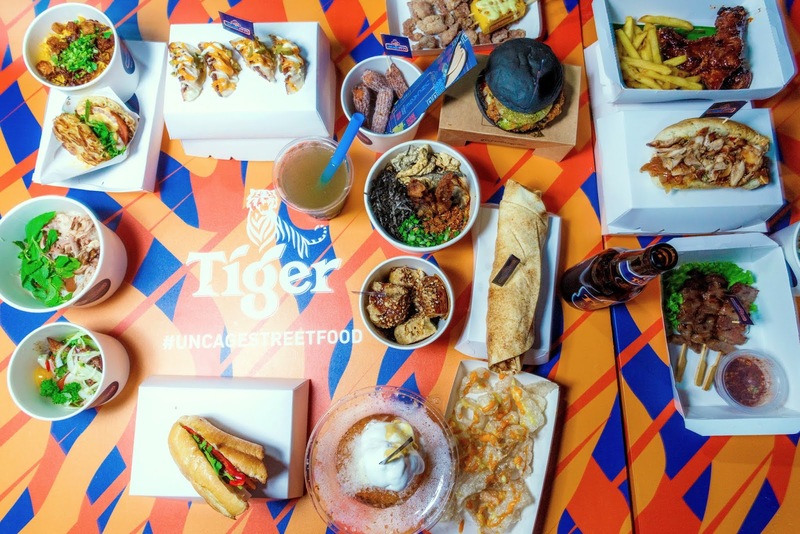 A little foodie enclave in Section 17 has popped up on radar. There are a few grub-worthy makan places in those tinyrows of old 2-storey shoplots with a variety of choices. Parking availability is notoriously scarce but that has not been a deterrence. The only thing missing here, was a drinking joint. Enter Mrs Jones’ Parlour. Opened this October and is at this time, the only cocktail bar in the area. There are no clear signboards to this bar, so look out for Tujoh cafe. The second you step into the parlour, deja vu. It brings us back to the late 70’s with its furnishing and deco. 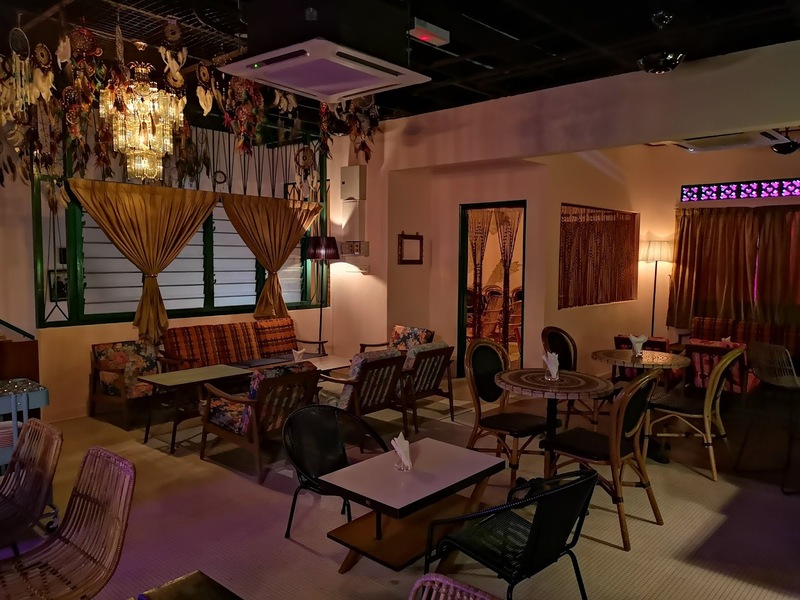 Ah FA said that it reminded her of her late granddad's home. 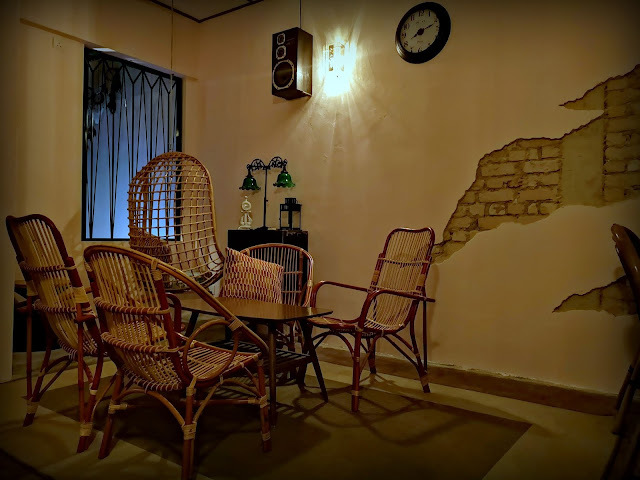 Very nostalgic and cosy. 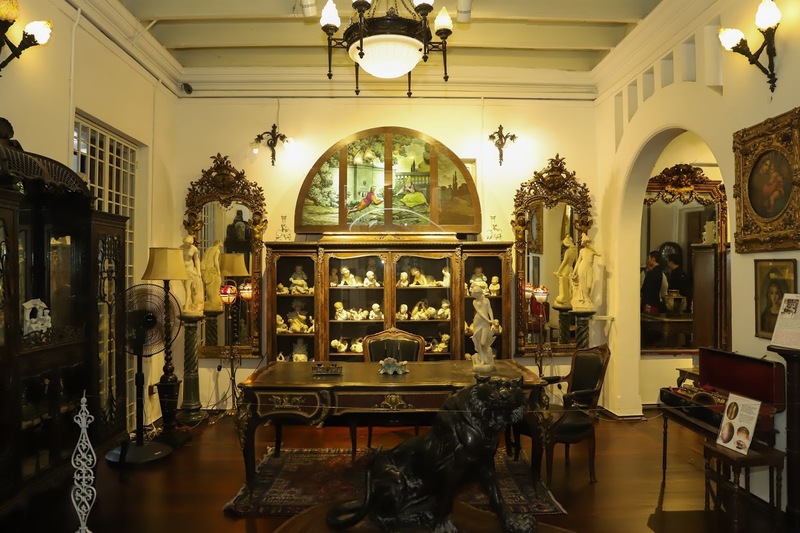 This is related to the speakeasy bar in TTDI, the Pawn Room and sister wine bar, The Private Room. With gins from Australia, the UK, Finland, France, Germany, Italy, Japan, Netherlands. Scotland, Slovenia, Spain, Thailand and USA, you'll be quite spoilt with choices. Mrs Jones’ parlour meanwhile, is a gin bar with a small selection of wine. 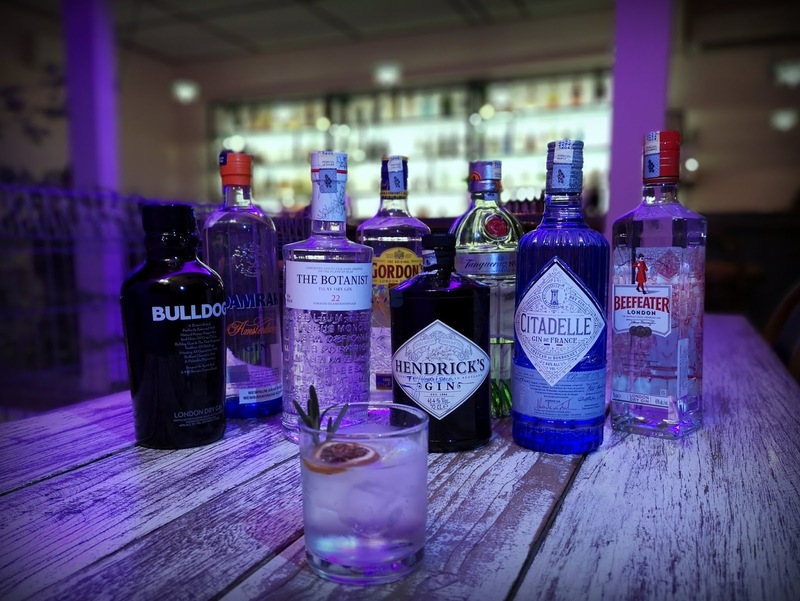 There's also a selection of gin-based cocktails and homemade infused gins too. 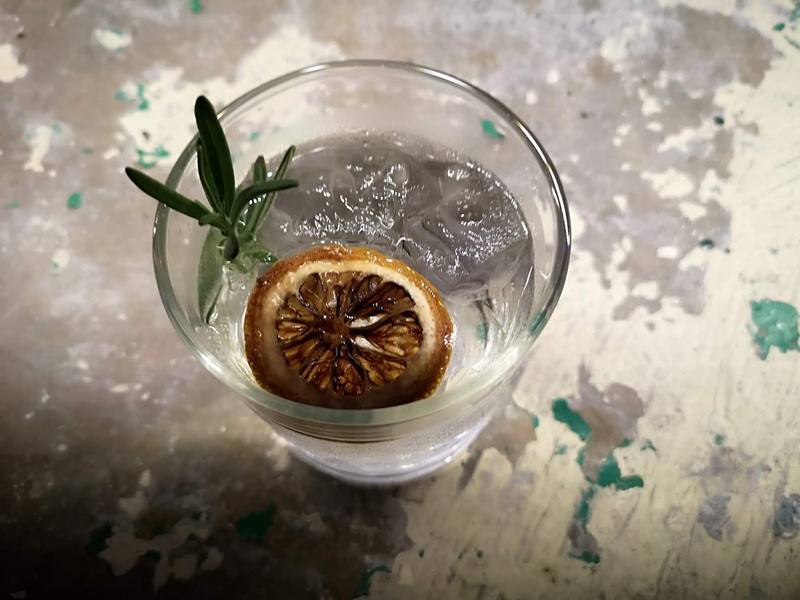 4 types of gin infusions. 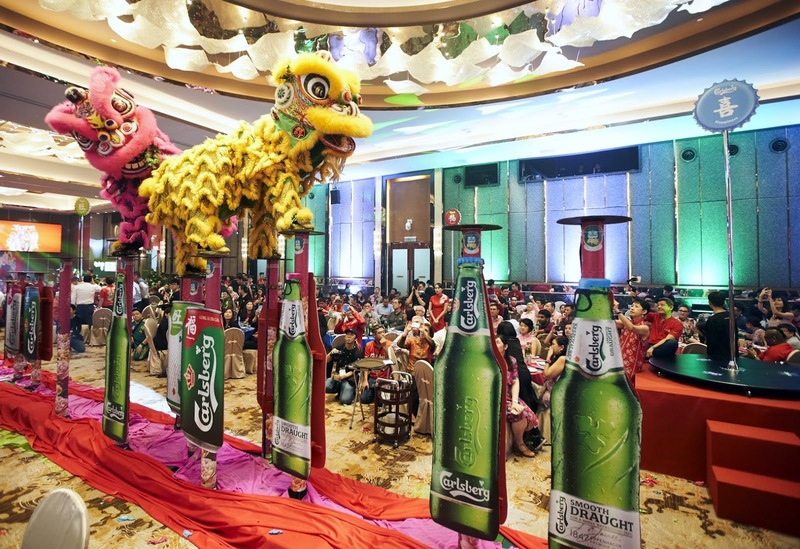 Drinks and bottles are generally well-priced. 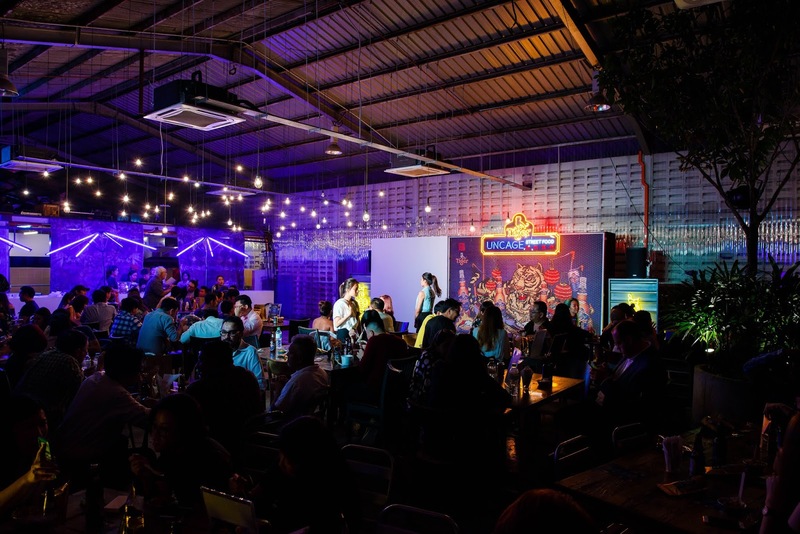 Their happy hours are from 5-8pm where you get 2 glasses of gin (and tonics) for RM40 nett. All the happy hour gin choices you can choose from - not bad. 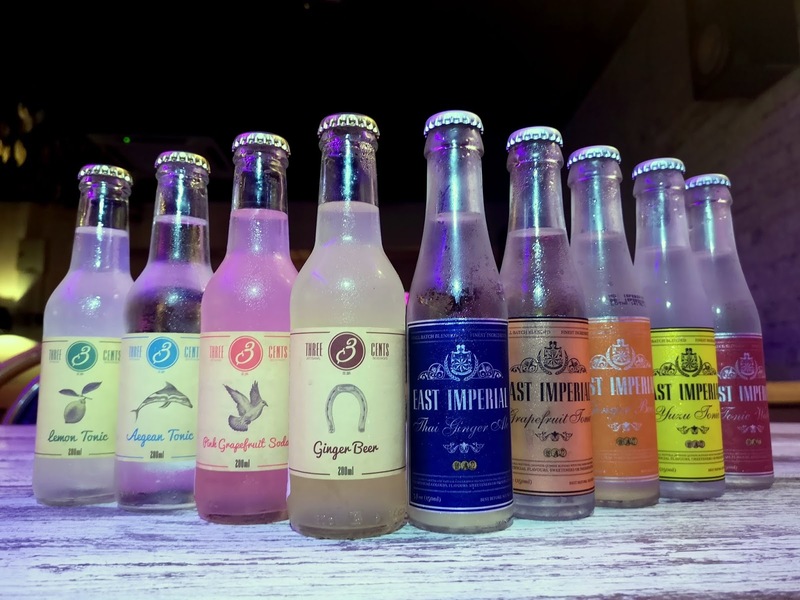 Schweppes is used for happy hour but there are 2 premium tonic brands you can choose from with various flavours. There are bites to go with the drinks as well by Tujoh cafe downstairs. Food is available until Tujoh closes. Creamy (tom yum? spicy?) 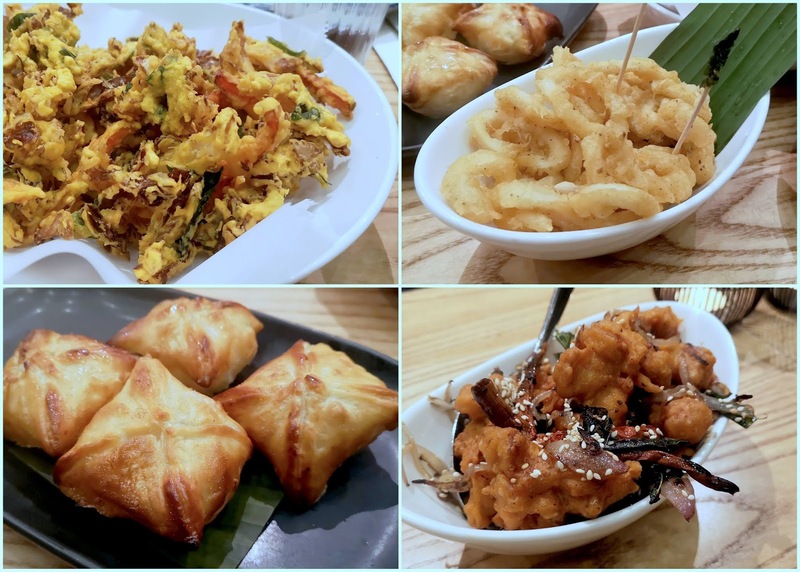 soft shell crab was DA BOMB. 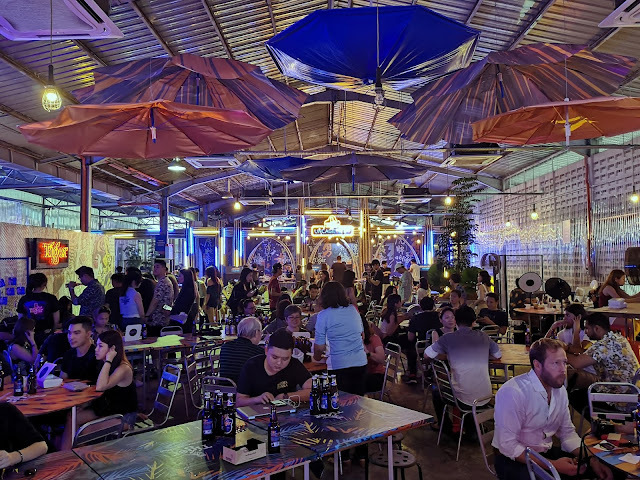 I can see people just coming out here to chill with friends, while waiting for queues for the eateries downstairs to clear. Amoi Melon (RM 35) - Tanqueray, Midori, lemon, agave, watermelon juice, beaten egg white. There are 4 cocktails to choose from now - easy-drinking sweet gin-based concoctions from RM35-RM45. 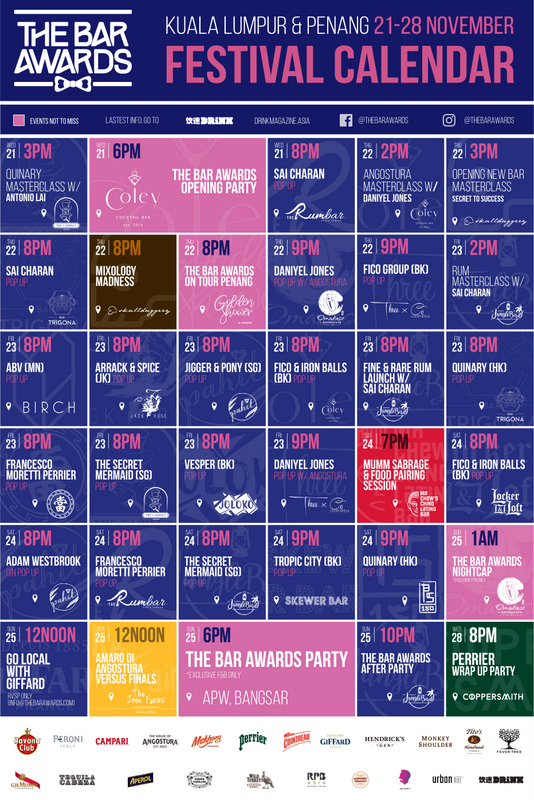 As for me, I plan to catch their happy hour G&Ts as frequently as possible. We found out that Lower East Side Whisky apart from its name, the whisky has nothing to do with the New York reference. 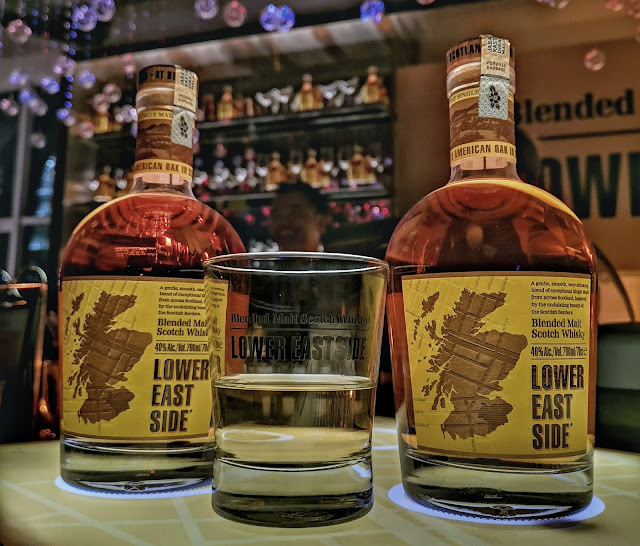 Tony Roberts, from the brand new Borders Distillery that owns this whisky, explains that the distillery is located at the ‘lower east side’ of the Scottish border to England about an hours drive to the border. 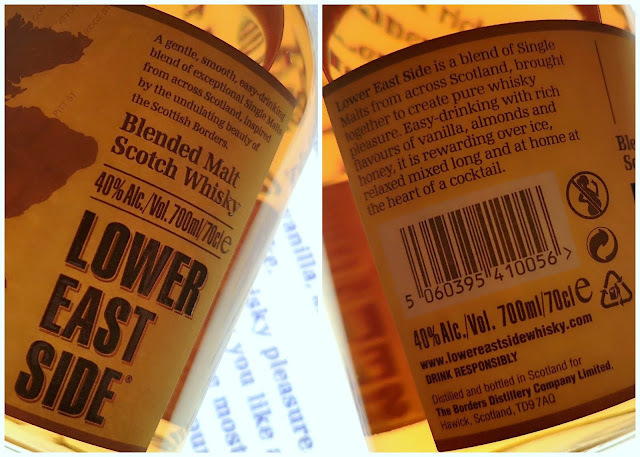 The map on the whisky bottle is the Scotland map but the map grid pattern on the map is the map of New York. Scottish humour, he says (we didn't get it, haha). Lower East Side Whisky is not a product distilled from its own distillery. Well, not yet, anyway. Barely 1 year in (officially opened early this year), it can't make the whisky yet and still call it scotch (needs to be at least 3 years old). What they have done is source the 6 single malts ( 2 highlands + 4 speysides) from friendly whisky distilleries and marry them instead. It has light fruits and orange on the nose and twang of orange peel marmalade on the palate. 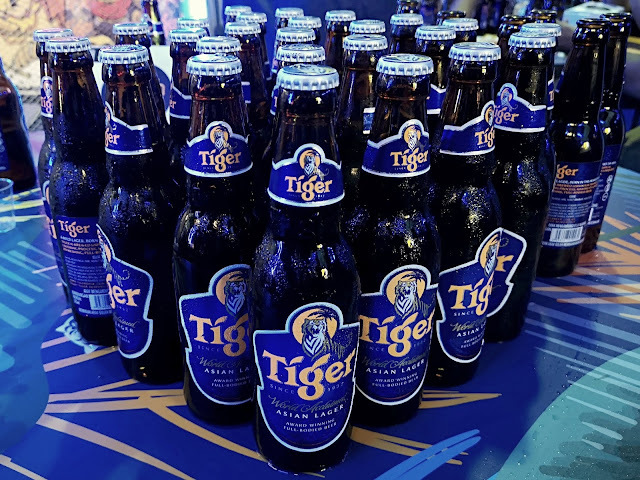 Its a young blend without much of a finish bottled at 40% ABV. Expect to be retailed at around where the other cheeky blended malt whisky brand is priced as well. 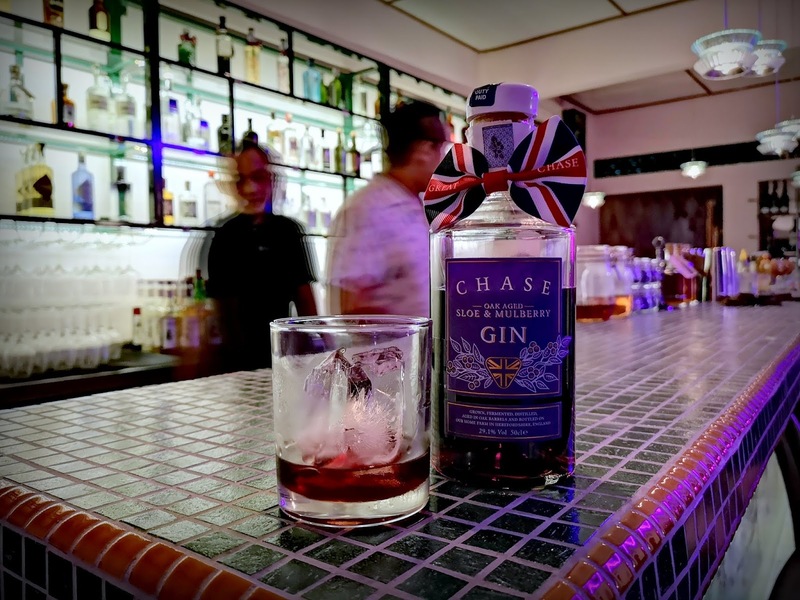 The Borders Distillery (because it is near the border la) is already in production with a blended NAS and Gin. Good Luck Mr Roberts and we will wait patiently to ‘Slainte Math’ with your other products soon! John Walker & Sons XR 21 returns to celebrate its craft and Malaysia's legacy with the annual Mastery session. This year, the Mastery Gala continues its celebration of Penang at the Colonial Penang Museum in Pulau Tikus. 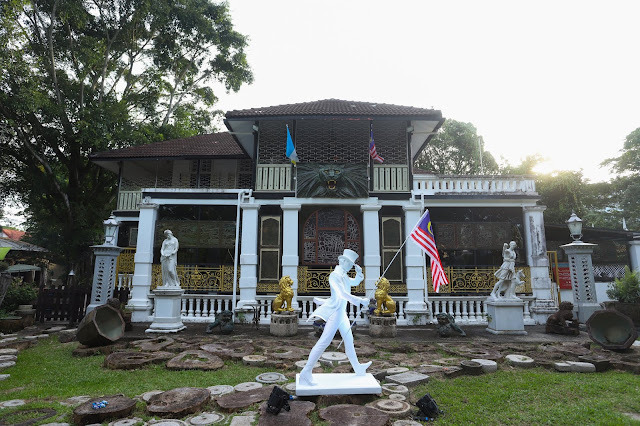 The museum, rated as one of the top 10 museums in Malaysia by TripAdvisor, is an awe inspiring mansion that houses some of the oldest artworks in the country, some over 100 years old. Perched on an Angsana tree in the front garden of the mansion was a treehouse that fit only 10 people per visit. 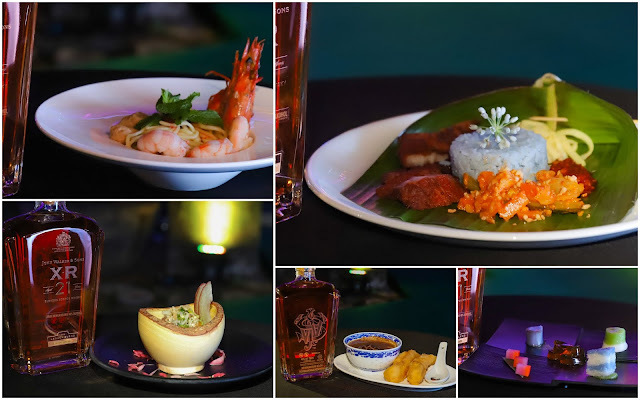 There, Johnnie Walker and Diageo Malaysia’s Jeremy Lee surprised us with the soon-to-be worldwide release of Johnnie Walker 28 year old “Midnight Blend”. We were the first few in Malaysia to sample this. The 28 year old Midnight Blend contains, among others, two grain expressions from Cambus Distillery, whiskies from the Speyside region including Strathmill, Cylenish, Glenkinchie and Caol Ila. The end product has the sweetness of vanilla, butterscotch, citrus, fresh fruity notes a warm, smoky finish. 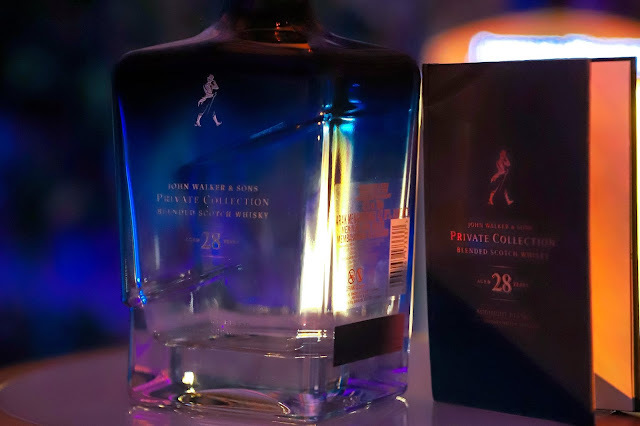 The Midnight Blend is a limited production of Johnnie Walker’s Private Collection series (only 3,888 bottles) bottled at 42.8% ABV. 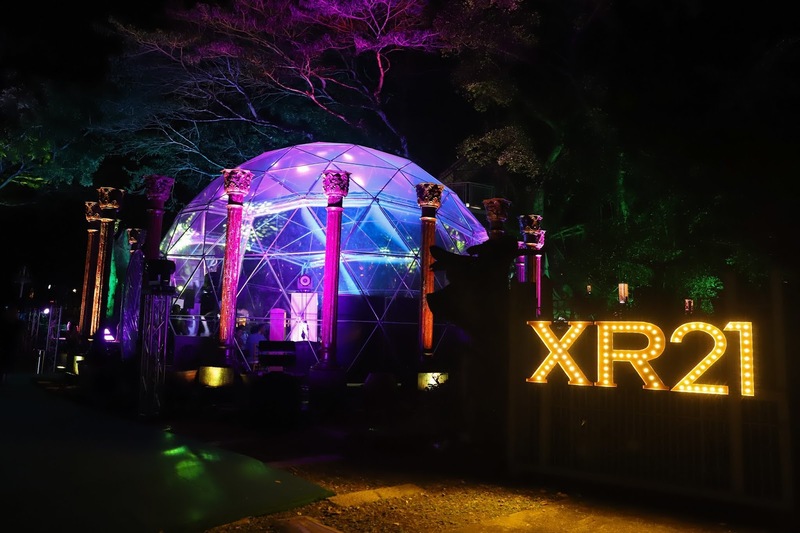 The final part of the event was a scrumptious dinner that featured local delights with a twist to pair with the XR21. My take on last year's XR 21's Mastery session at Khoo Kongsi here. We had a great time as usual. Thank you, Diageo Malaysia! 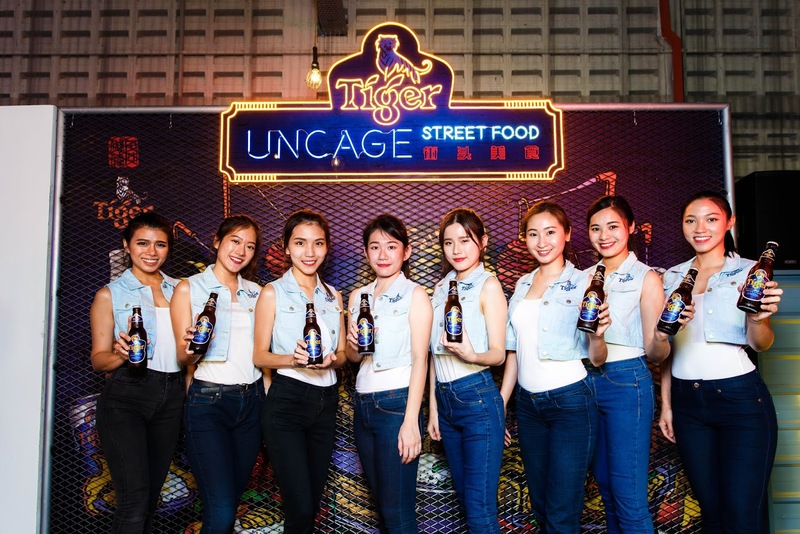 With that question, Tiger Beer Malaysia is on a prowl to uncage hungry individuals from their hidden talents or “Uncage Heroes” where it hopes to inspire fans to follow their dreams in diverse fields (dance, tech, fashion, art, food) to make a positive impact, even if that means defying societal expectations. 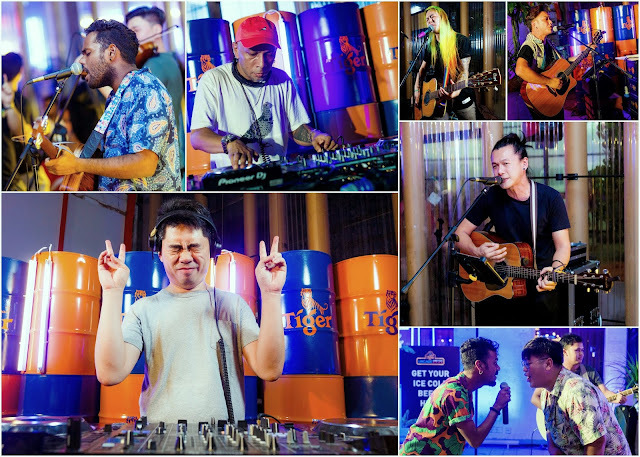 Earlier in September, Tiger collaborated with Pestle and Mortar clothing and WWF featuring selected artists. 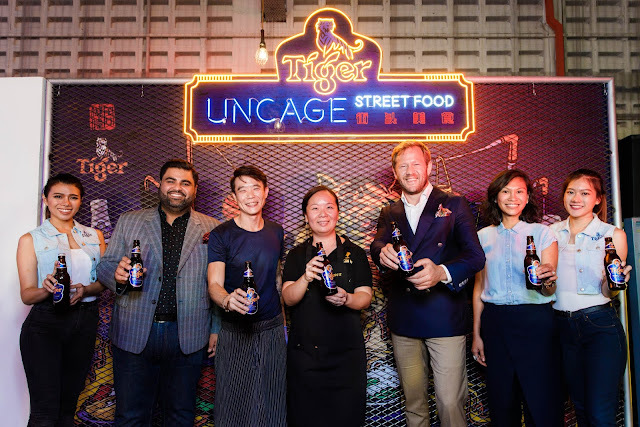 At the media preview of this new Uncage segment, 3 street food heroes who have defied social conventions and odds were featured to showcase their interpretation of local delights - Im Cheah (Bacon It), Herukh Jethwani (Meet The Porkers) and Jun Chan (Bowls of Steel). (2nd from L-R) Tiger Uncage Street Food Heroes Herukh Jethwani, Jun Chan and Im Cheah, with Jiri Rakosnik, Marketing Director of HEINEKEN Malaysia and Pearly Lim, Marketing Manager of Tiger Beer. 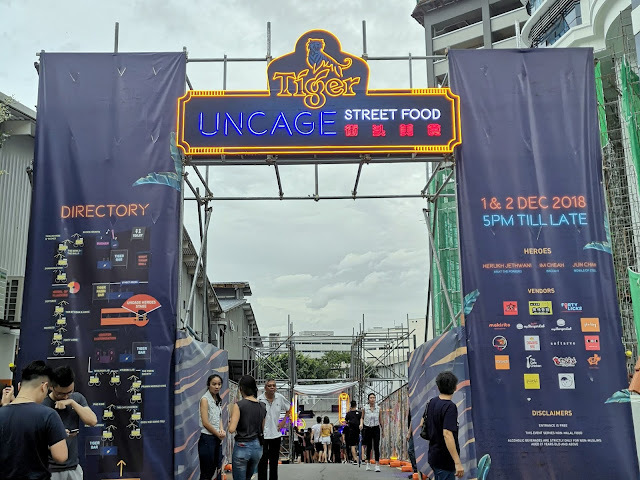 The sneak peek allowed us to see what these street food heroes have in store and more in the upcoming Uncage Street Food Festival (scheduled to be held on 1-2 December 2018). 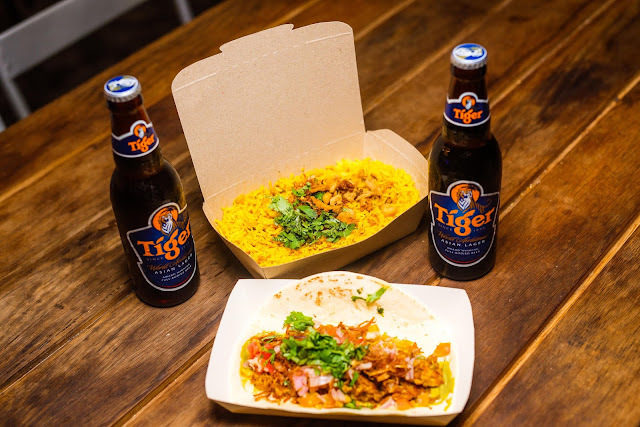 Herukh's mini tandoori pork ribs tacos sautéed in crispy prawn chilli, garlic and curry leaves dish, and his famous Siew Yoke Briyani. 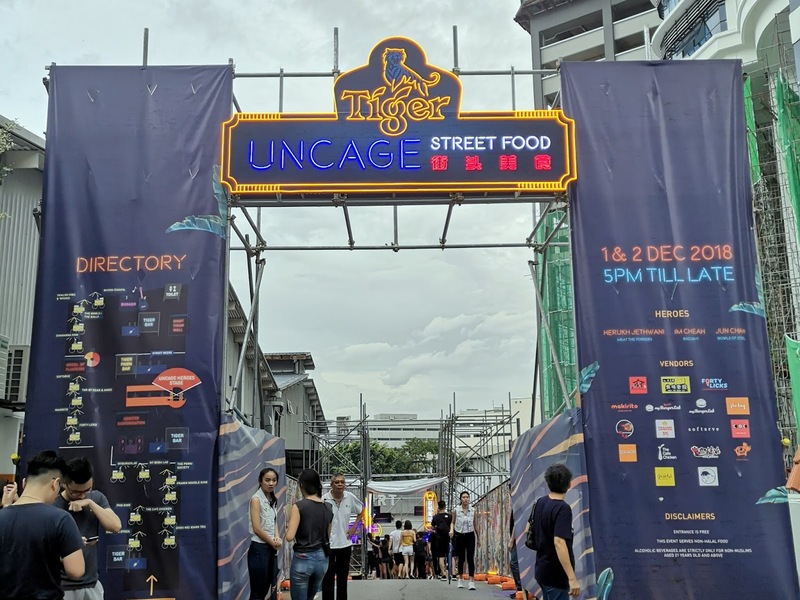 The festival will feature the signature dishes by these uncaged heroes and other local talents from myBurgerLab, The Porki Society, Ticklish Ribs & ‘Wiches, Pho King and Makirito under one roof. Those are just the tip of the pig's snout because I am told there will actually be 40 stalls in all. 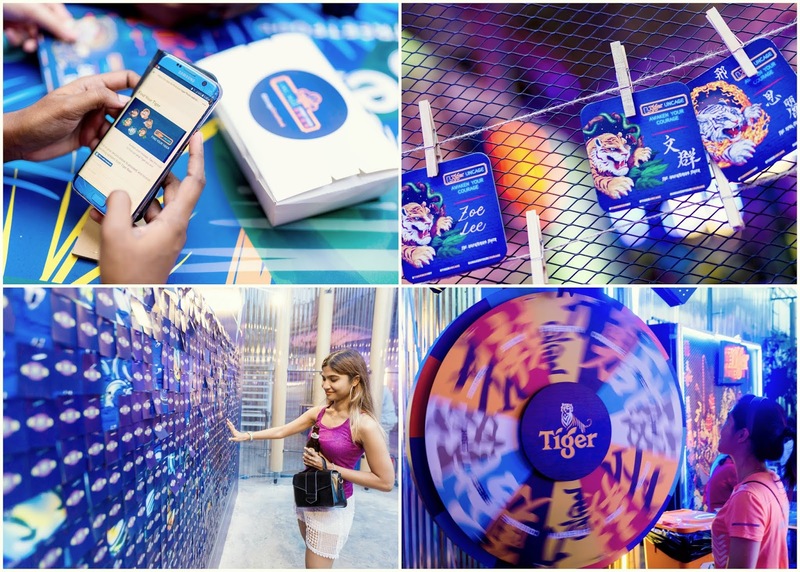 There is also a fun online ‘Find Your Tiger’ quiz to find out what kind of Tiger you are - and the results were printed out on the spot on a coaster with our names on it. 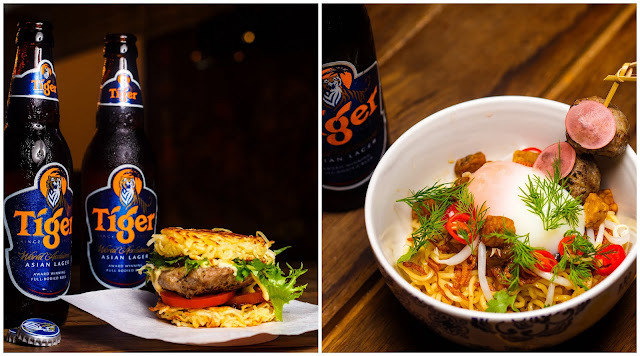 Jun's ramen burger with Tiger Beer cheddar cheese sauce, and ‘Main Bola’made from egg plant, minced brisket meatball, sweet potato gravy with a local touch of belacan sofrito, ayam kampung egg and salted egg crumble. Check out www.facebook.com/TigerBeerMY/ or www.tigerbeer.com.my for more info on the upcoming Uncage Street Food Festival. A street food event won't be completed without having several ice cold bottle of Tiger beers, of course.